VKSLOT-00005 : Searching for a gift. 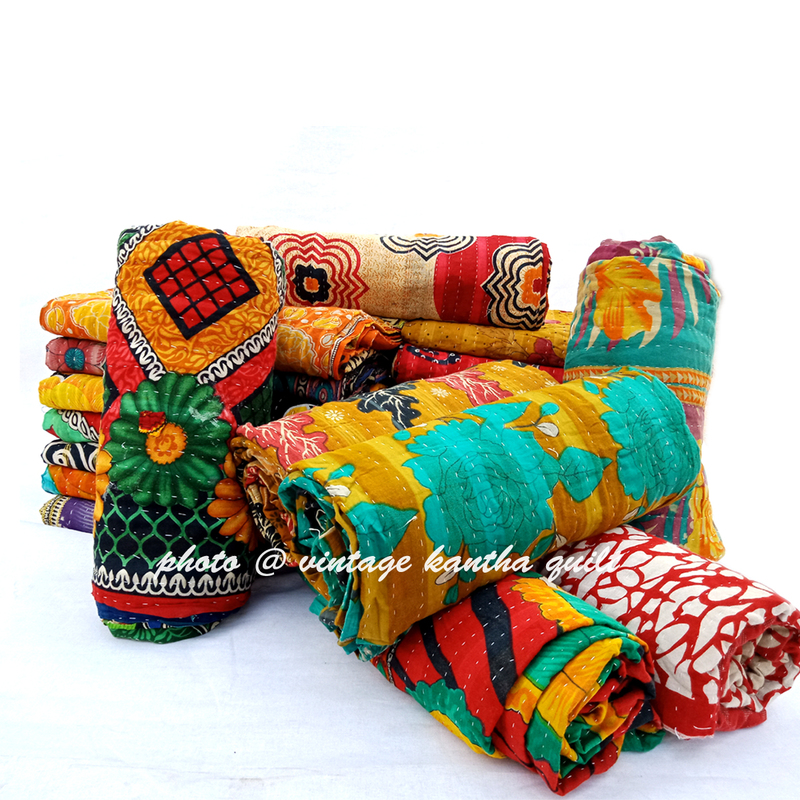 This multi usage kantha scarf can be first choice of anyone. 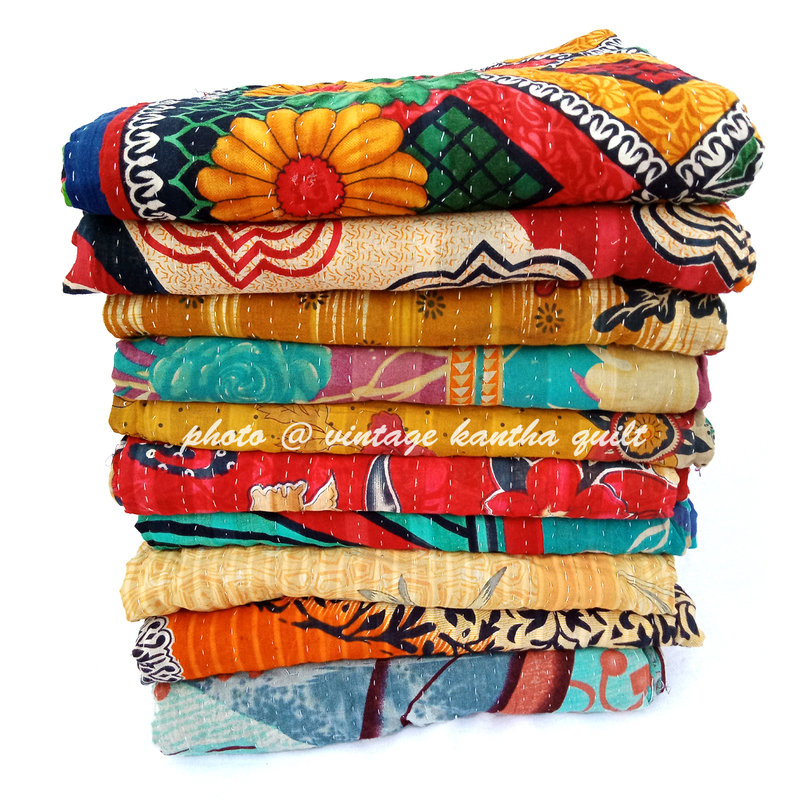 Reversible in nature, each piece of this artisan made kantha scarf lot is truly unique and adorable. Please note – You will receive assorted scarf in this lot. Image is just for reference. 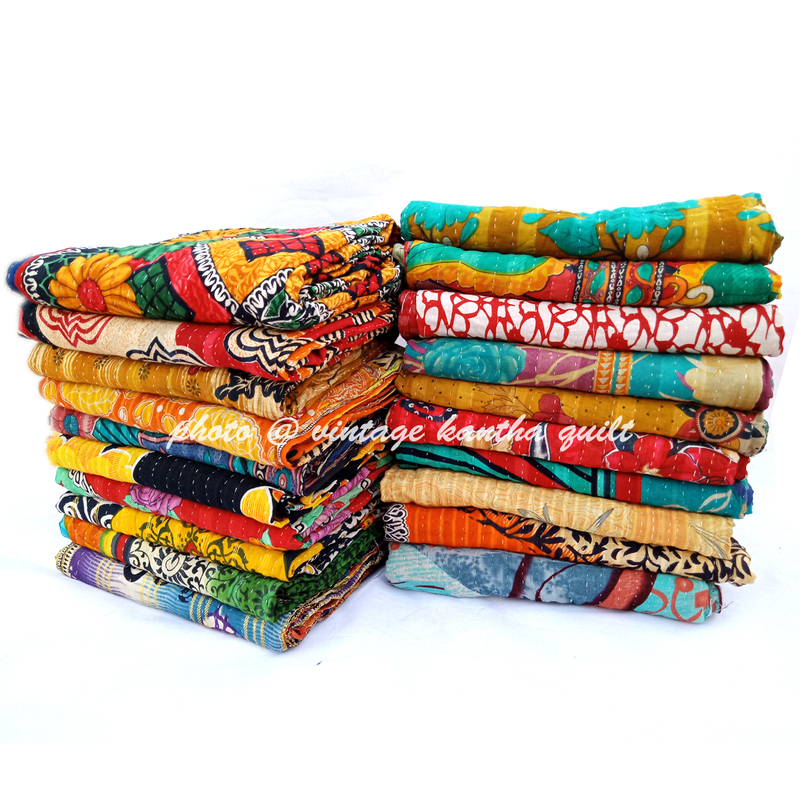 Do let us know in advance if you want to select scarf of your choice. 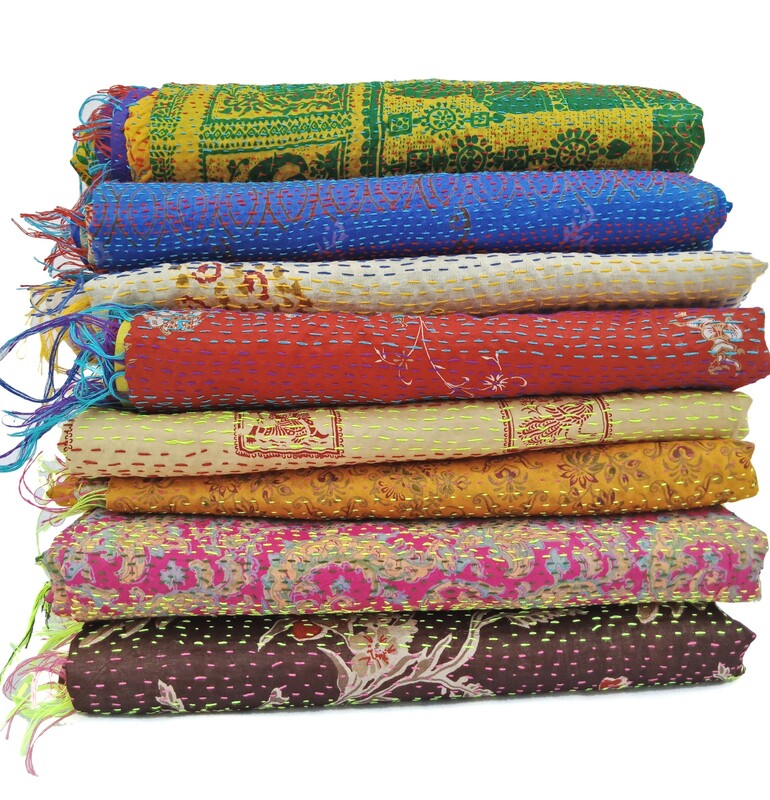 This scarf is made from vintage indian cotton sari, hand stitched all over by artisans. 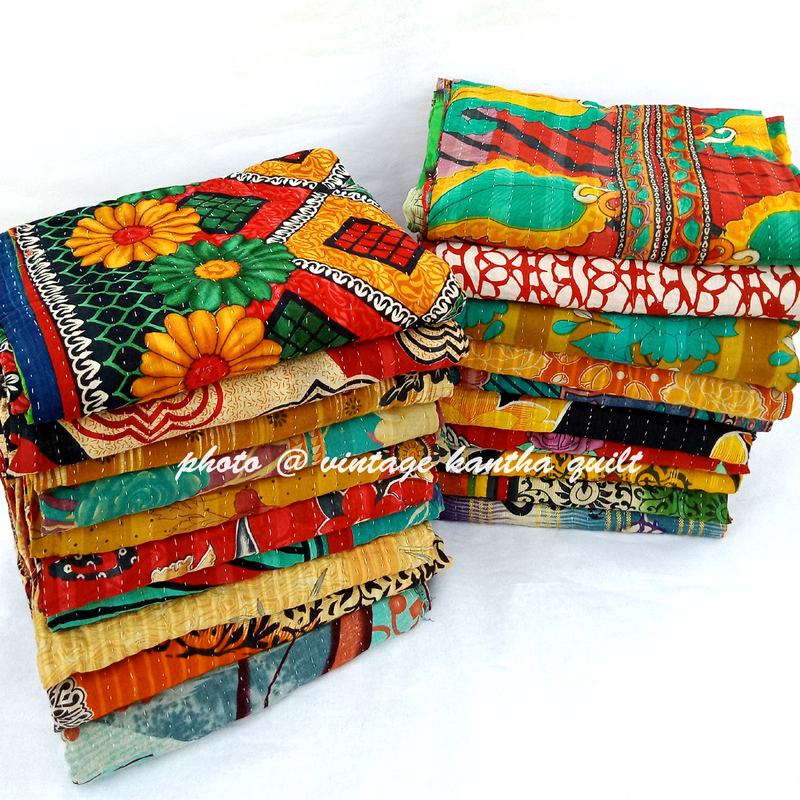 Each side is different which means you get two looks in one quilt – if you feel like a fresh look, flip it over or fold the other way. Each piece is a one of a kind and unique in itself. A gorgeous piece you can use every day and treasure forever.